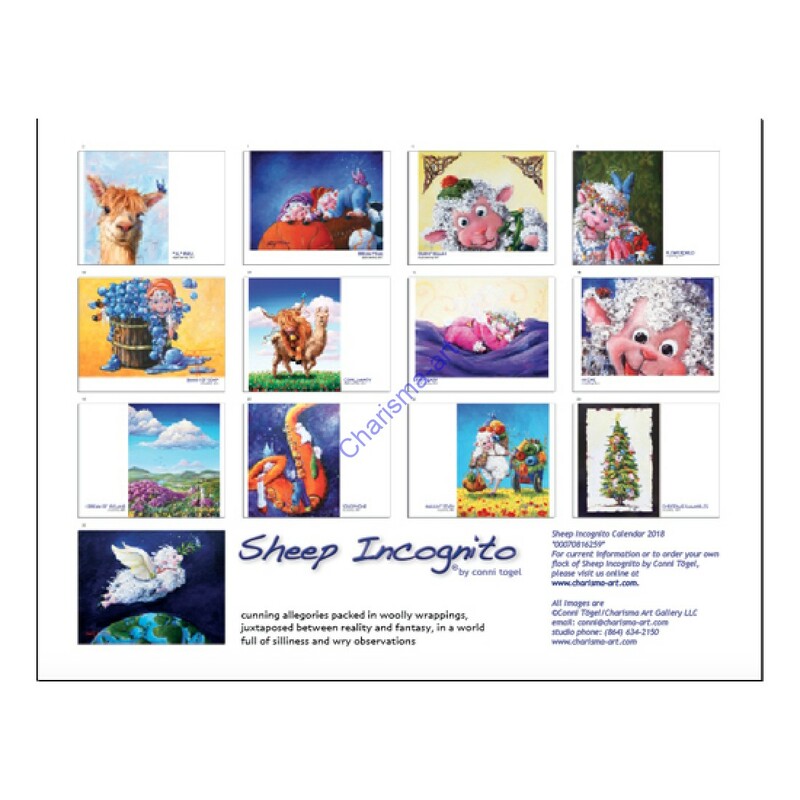 28 pages of colorful, happy Sheep Incognito Art Images by Conni Tögel. Limited Edition of 1000, 8. inches x 11 inches. Glossy paper, with plenty of calendar space each day to add your own celebrations and appointments to the ones already listed: Fun holidays like "Giggle Day", "Lasagna Day", and "National Cookie Day" make the year fun, exciting, and give you lots of happy things to look forward to in 2018.